The picture above was sent this morning by Jason Curtis of the river in front of his home. The Campbell’s Pool house is in the far upper left of the picture above.When I look out the window, and then down at the date on the corner of my computer screen, things don’t seem to mesh. We are in the middle of yet another snow storm, and this one may accumulate up to 10 inches over the Miramichi valley. This much snow by mid-November is really unusual. The temperatures also are unusual. It is wintery cold now, and it is forecast to stay that way for the foreseeable future. With the temperatures forecast for next week to be well below normal night and day, it is likely that we will see the rivers frozen across by sometime next week, and that’s almost a month earlier than some recent years. What will all this mean? According to a paper by Atlantic Salmon researcher R. A. Cunjak of UNB: “ A strong relation was found between winter discharge and interstage survival (egg to 0+, 0+ to 1+, 1+ to 2+) in 5 of 6<~>years. That is, juvenile salmon abundance in summer was highest following winters with high streamflow, presumably a function of habitat availability, especially beneath ice cover. However, the lowest measured egg-0+ survival (9.2%) was related to an atypical midwinter, dynamic ice break-up triggered by a rain-on-snow event that resulted in severe scouring of the stream-bed and redds.” With all the recent precipitation we certainly have the strong flow, and it looks like we will soon have ice. 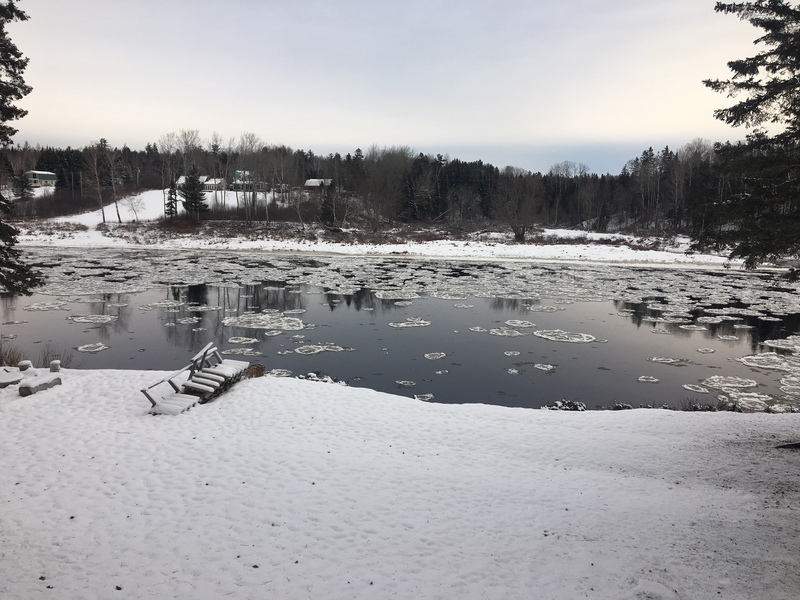 According to Miramichi guide Darrell Warren the old-timers prophesized that years of November freeze up ended with mid-winter break ups. 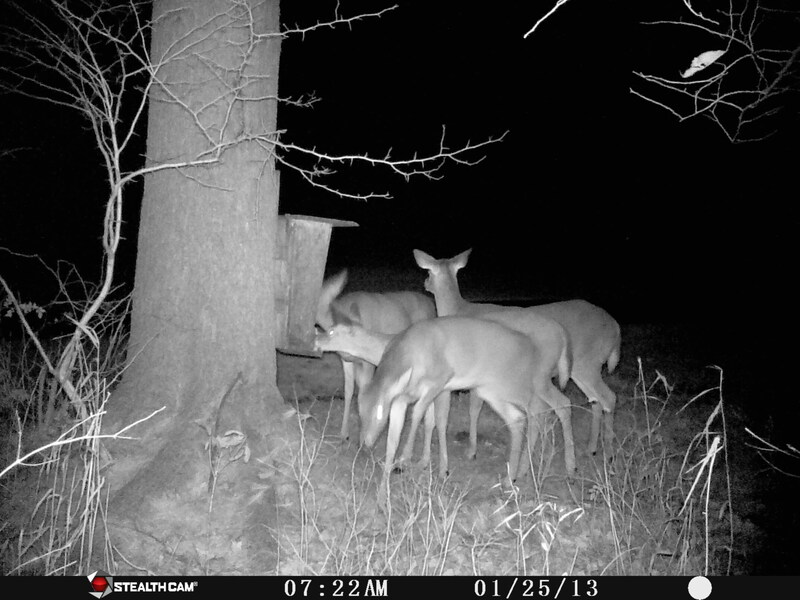 That would be counter-productive, so we’ll have to hope for this winter to be an exception. 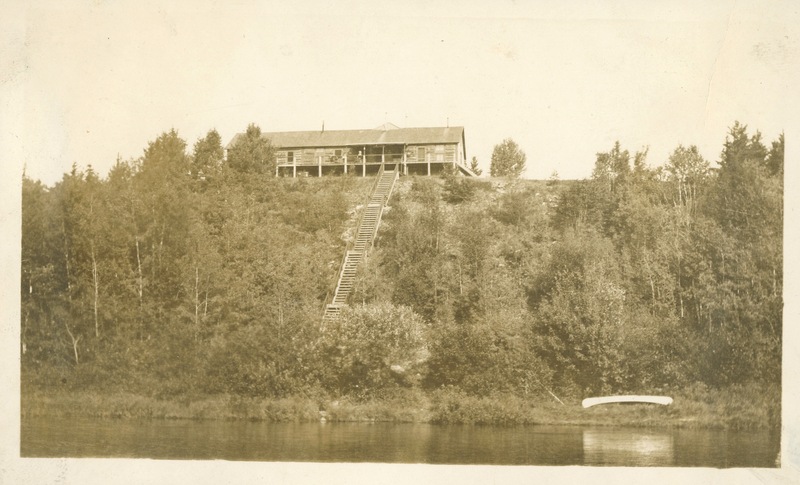 Hopewell Lodge in the 1920s. After lunch I headed in the Shinnickburn Road for the 10-mile, dirt-road-drive to the Mahoney Brook camp. Now that essentially all the roads leading in to the Cains are of a “non-maintained” status, they are quickly becoming 4-wheel drive paths. 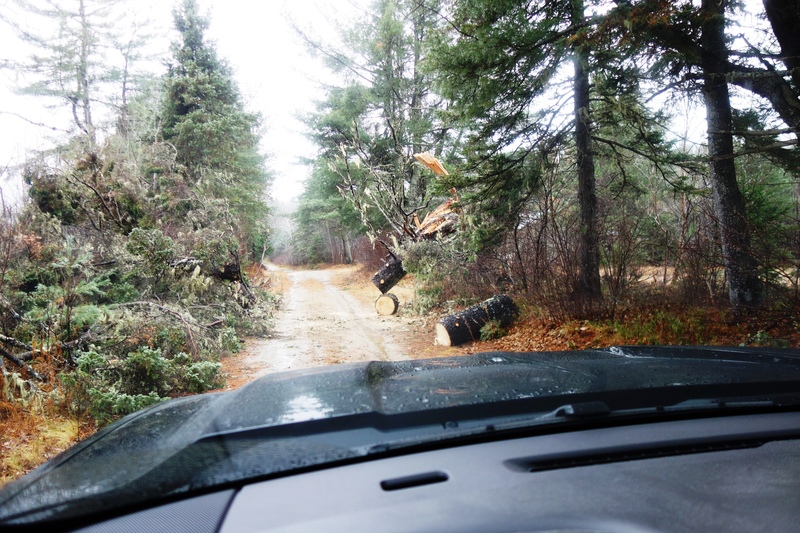 Darrell and Jason had been in before me, thankfully, and cut up and dragged off the road some of the large trees that came down in the big wind storm of 11 3 2018 that took out so much of New Brunswick’s power. Still it was a tight fit to get through in a regular pickup truck. Water was high on the Cains, and I didn’t venture out onto the river as I normally would, but it was wild and beautiful as usual. 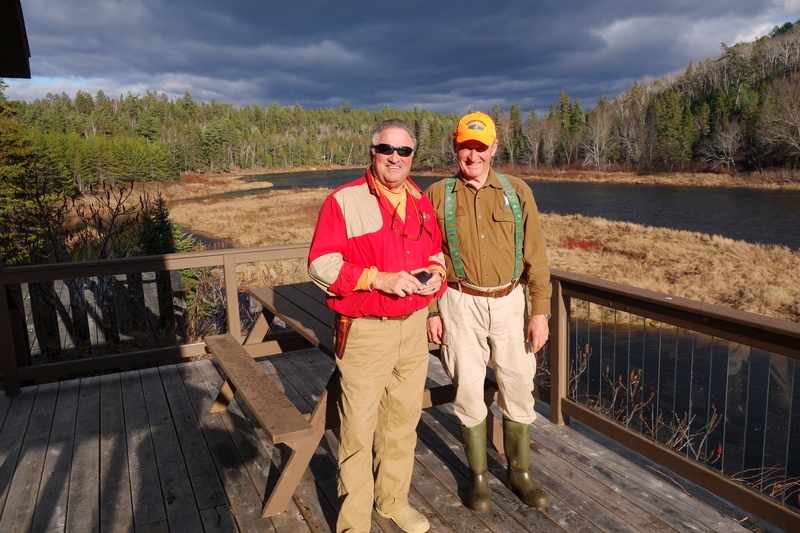 New Brunswick friends David Wade – Charlie Wade’s grandson – and Dawson Hovey came over for a visit and we walked around to a number of the pools that we would have been fishing 3 weeks previously. I love to get on the road early, and just before I closed the door of my truck to drive out I could hear the wind in the high branches of the spruce trees and bare limbs of the maples surrounding the camp. It has been a favorite sound since childhood. It was a great note on which to hit the road. 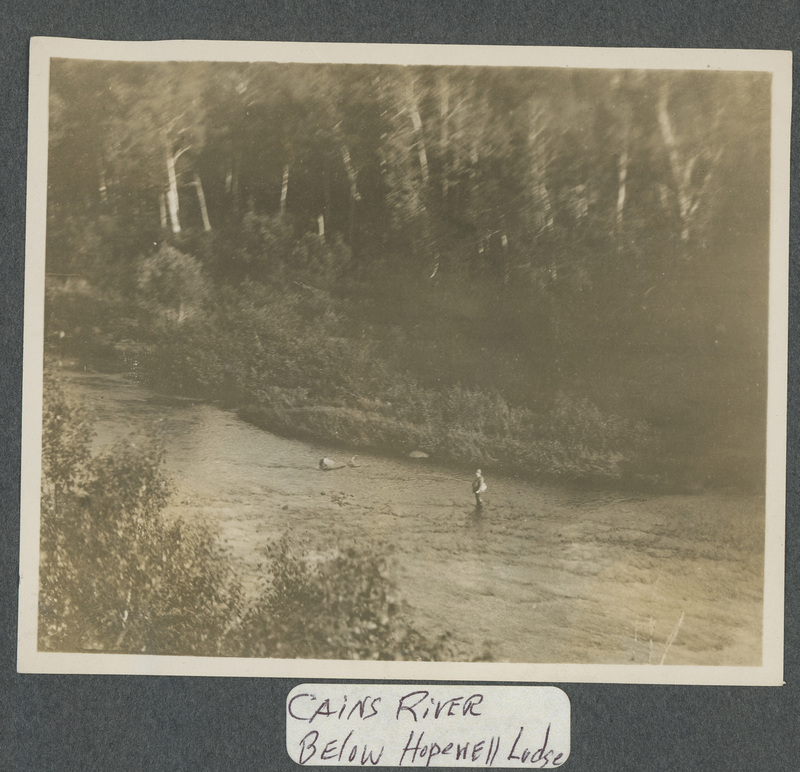 High water on the Cains. The rock barely underwater in the center foreground is a 3-foot-tall boulder that is normally almost entirely out of the water. 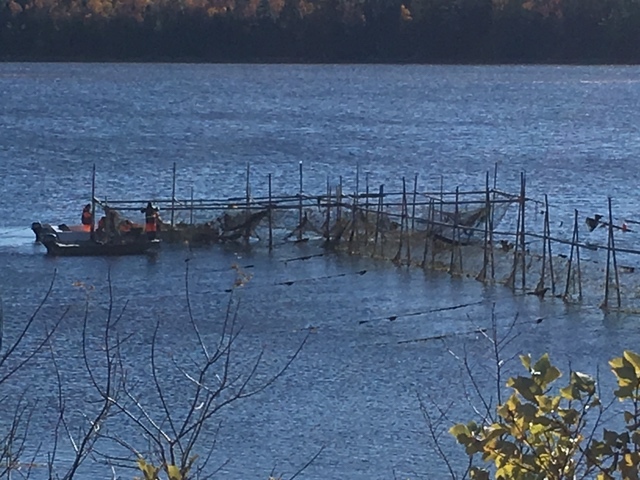 Bass caught in First Nation’s trap net. First Nations tending trap net. Thanks for the update and pictures of the Miramichi and Cains. Particularly encouraging to see the First Nations being able to develop the striped bass commercial fishery, and give our salmon smolt more of a chance. Had the opportunity to taste some of their product last week, and it was delicious. Now, if we could only get more fishermen to develop a taste for seal flipper pie, wouldn’t that be more progress…..
Aye Dawson. Seal flipper pie could be the hors d’oeuvre course. The main dish would be merganser under glass. Why are only undersized bass allowed in the small harvest? Egg volume is muliplied in larger fish. 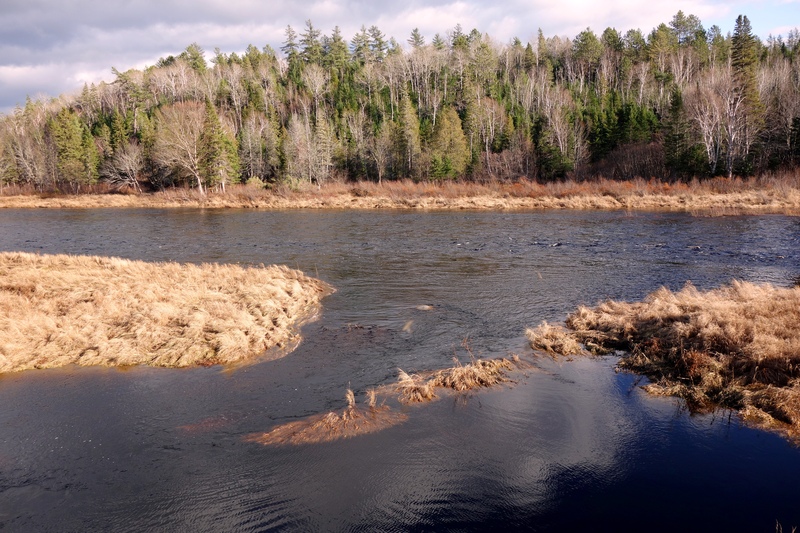 If the DFO protects the spawning area in the NW Miramichi again next year, I will switch to supporting the ASF over the MSA! If a million bass eat just one smolt each, killing 50000 is a pretty poor response…….how many small bass are produced by the remaining 950000+??? Unfortunately, the math just doesn’t compute. 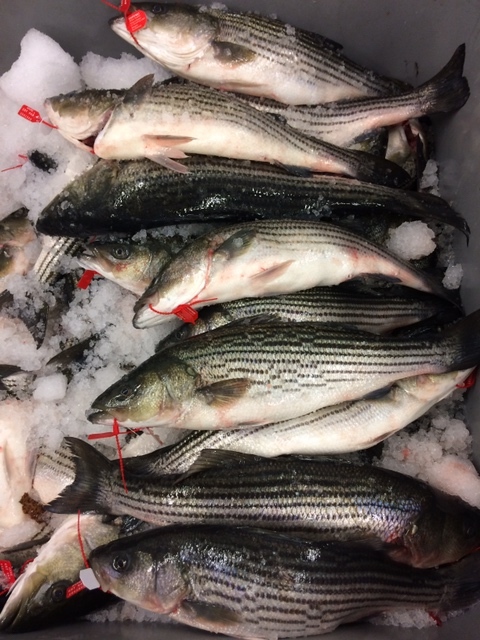 Peter – the ASF and the MSA are both on the same page when it comes to striped bass. The DFO is determined to go very slowly with increasing the allowed harvest of striped bass. They know, just as you have stated, that the larger fish are far more prolific breeders, and that is exactly why they protect them. 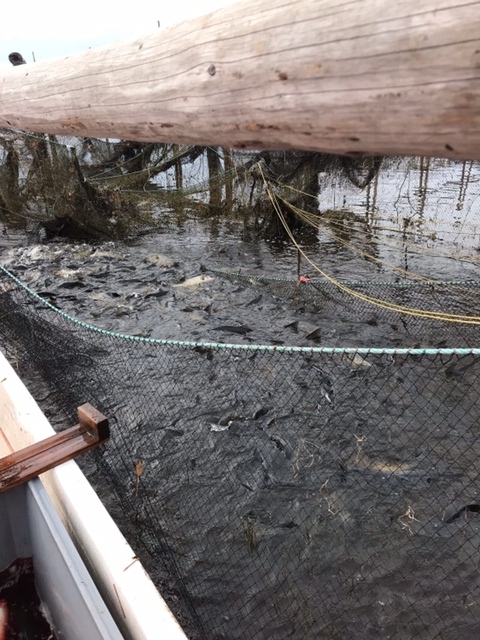 Considering the outrageous size of the striped bass population, and that they seem to have crushed the population of not only salmon but smelts, gasperaux, shad, and sea run brook trout too, one would think they could have been far more aggressive than 50,000 fish out of a slot designed to harvest only immature adults! It is, though, a start, and hopefully the MSA and others can convince DFO to rapidly increase this quota and bring the striped bass population in line with what the river can realistically support along with its other native species. By all means please continue to support the MSA. Both organizations are very worthwhile, but the MSA is focused on the Miramichi system, and I can assure you that you would very much like the positions that they take and the projects that they are spearheading. Hi Brad, Are any of these stripers getting to fish markets around Maine? if not maybe you could facilitate that??? Are there any reports of adult salmon getting caught along with the stipers in the weir nets? Kent, I spoke with Mark Hambrook of the MSA who is on top of everything to do with this situation. It is -20C in Miramichi this morning and at the moment the trap net is frozen in place! 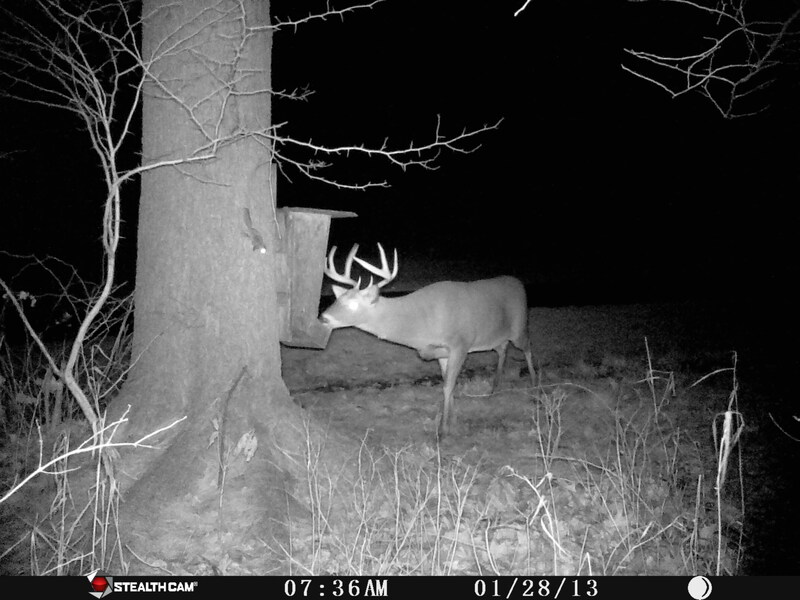 This is probably the only year in the last 20 that this would have happened. 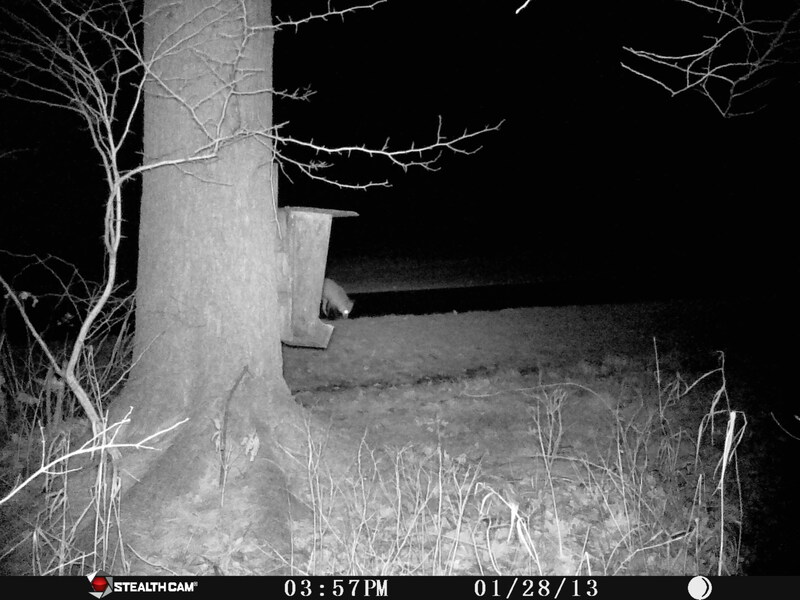 I hope it warms up enough to get it out before a permanent ice up, but it doesn’t look good. Mark also said that some salmon have been caught in the net, but that the First Nations fishermen have been releasing them alive.